and only used half of it for Nasu dengaku last night. and they were about to go bad. 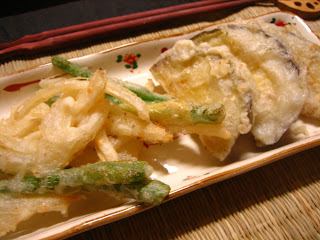 It was my first attempt to make this onion and long beans tempura. mix 1 cup of flour + cornstarch with water in a bowl. 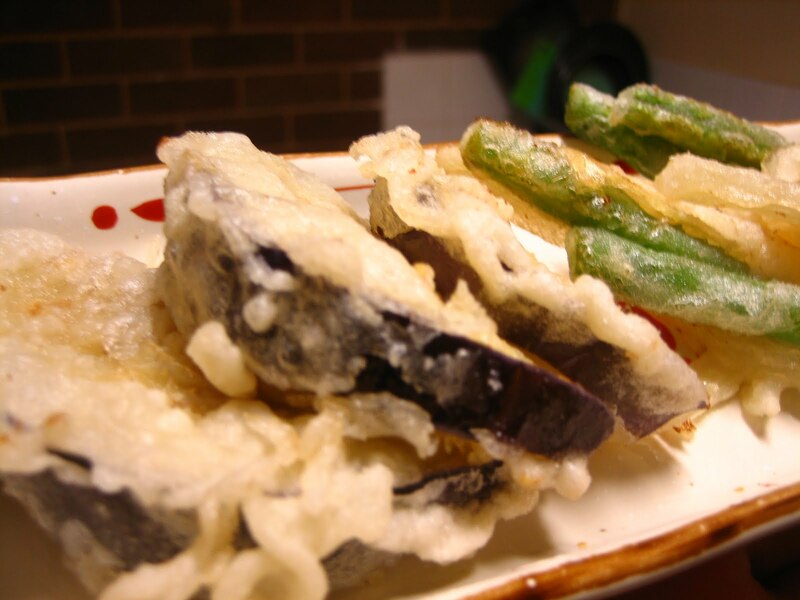 Cut veggies into 1cm width, eatable sizes then put them in a bowl. Marinate the veggies with the batter. veggies cook very fast. Don't leave them too long in the oil. 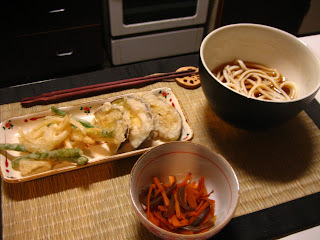 When you cook onions and long beans tempura, use a spoon and try to drop onions and long beans together in the oil.